The solar eclipse in Leo is about letting go of whatever is holding you back! It's about opening your success avenues to new, optimism and opportunity! 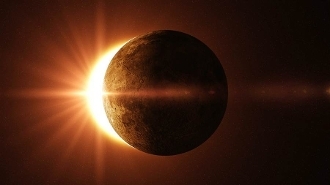 This eclipse can benefit your love life, your career, your finances-any area ready for you to seize it and make the most of it! Turn your dreams and wants into realities and obtainable goals! I will light one candle for you, dressed with oil for your intent, and I will set offerings, incense and prayers for your goal. Woderful service for any occasion. Don't miss this surge of energy for your goals-it will be a long time before we get this opportunity again! ******Please type your petition or goal in the "special instructions" area of your order!! !